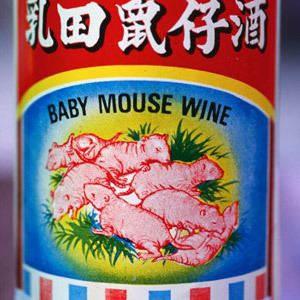 Like the name suggests, this is a rice wine containing baby mice. Best prepare, this explanation isn’t for the faint of heart. Baby mice are taken soon after being born, and dropped, alive, into a bottle of rice wine. The “rules” state that they must be under 72 hours old and their eyes must still be closed. After about a dozen of the little guys are in, the bottle is left to ferment and age for a year. Most people reading this are probably feeling a little uncomfortable right about now, but in Asia, the drink is bound by tradition and goes back centuries. The country of origin is debated to this day. Whether it came from Korea or China, the wine is said to greatly help asthma patients and people with liver disease. Tags: fda, would you approve it?, would you drink it? 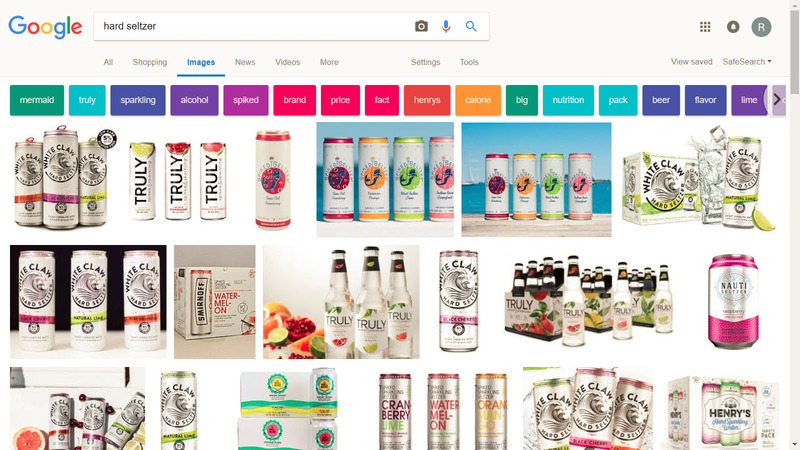 We wanted to check in and see what’s been happening with gluten claims, in connection with alcohol beverages. LabelVision data shows virtually no references to gluten until 2012. Then, TTB approved the first label with a nice, clear reference to “gluten free.” That label is below (potato vodka, brand name Spud). After rapid growth, from 212 to 2016, the gluten references seem to be leveling off, so far in 2017, at about 2016 levels. 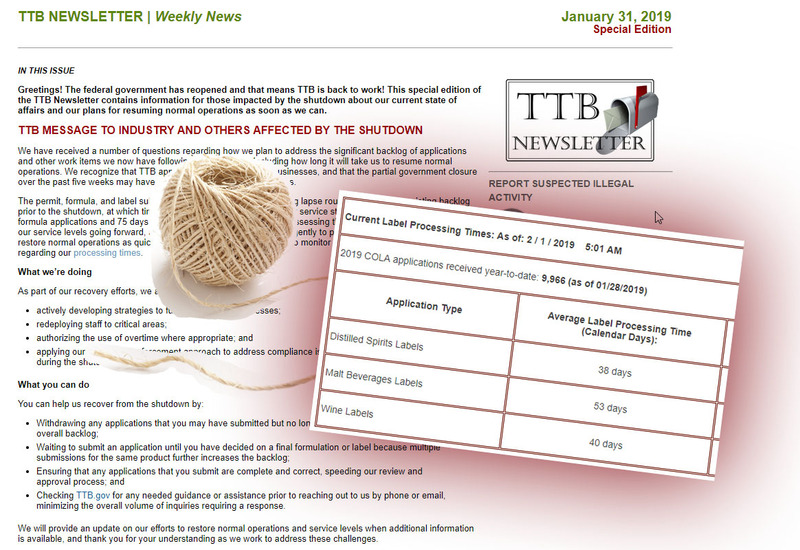 TTB’s policy is here (TTB Ruling 2014-2, Revised Interim Policy on Gluten Content Statements in the Labeling and Advertising of Wine, Distilled Spirits, and Malt Beverages). 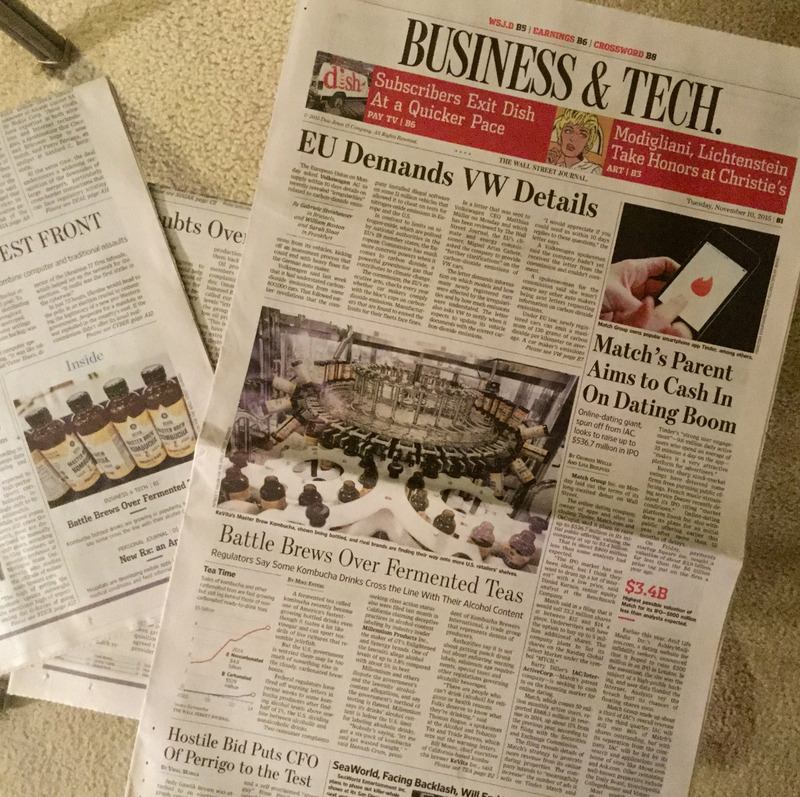 Here is a fun little article that combines a few of my favorite things: beer, law, The Washington Post and four-leaf clovers. 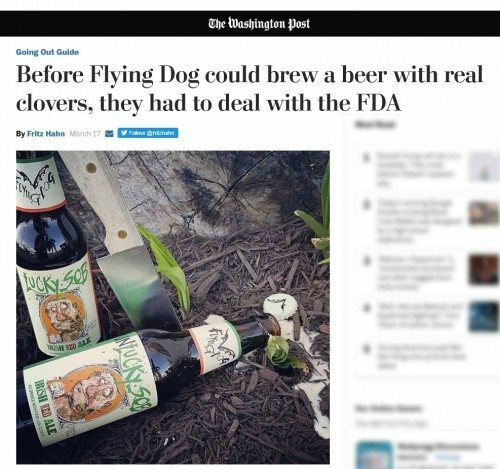 The article tends to say that Flying Dog had to skirmish with FDA a wee bit, before getting the go ahead to put the clovers in the beer. From the article, I can’t tell if the issue was clovers in general, or only the lucky ones. The article also hints at other quirks in the law. It says Flying Dog submitted the beer to FDA for approval, but this seems unlikely. I can see this Maryland brewer submitting a formula to TTB for approval, but not to FDA. 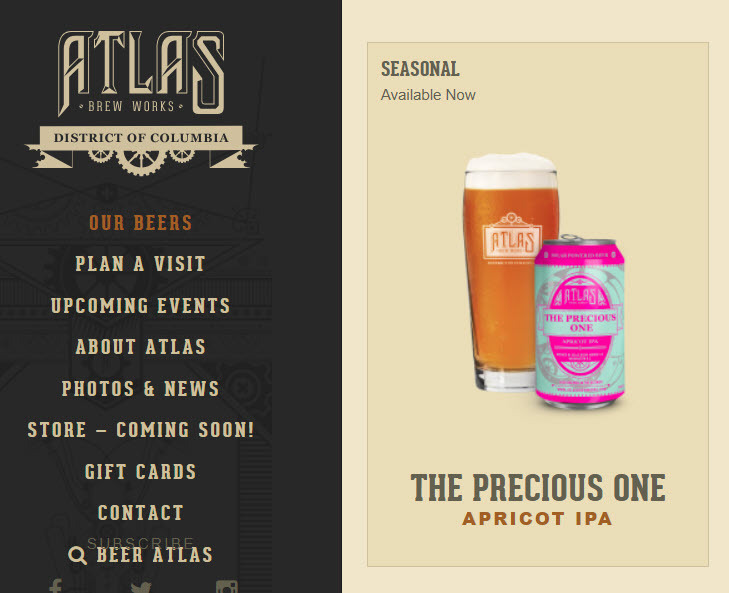 Also, I would have expected to see a TTB approval for the label, but I can’t find one, and this must signal that Flying Dog only plans to sell this beer intrastate, in the near term. Mostly, this beer probably signals a good excuse for a St. Patrick’s Day-timed press release. 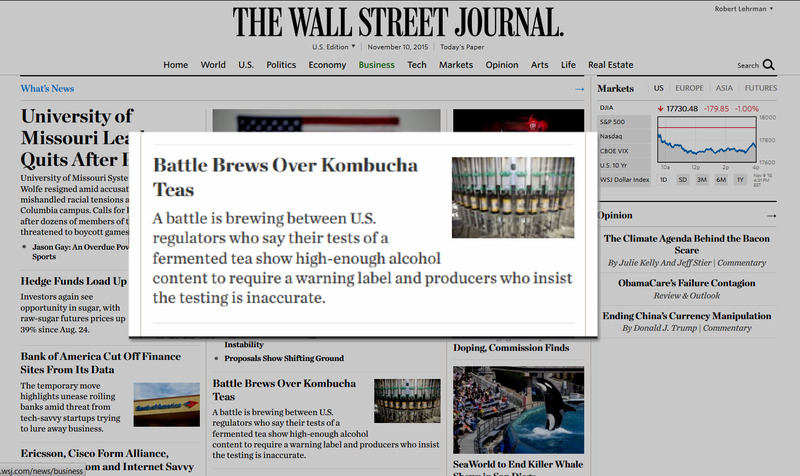 Kombucha law is on the front page of tomorrow’s Wall Street Journal. Because kombucha law is so interlinked with alcohol beverage law, this is to underscore some alcohol beverage points only touched upon lightly in the article (subscription required). 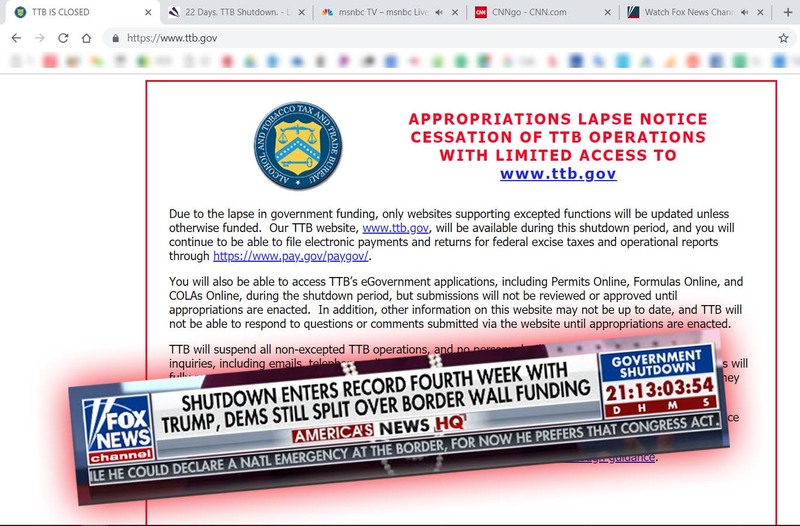 TTB has decided that most kombucha is beer for tax and permit purposes. This is because it is fermented tea. It is beer rather than a “malt beverage” because it lacks hops and malted barley. Most kombuchas are over 0.5% alcohol by volume during production, but less than that amount after bottling and at consumption. These can be called over-under kombuchas. It is ok for a kombucha to be 0.5% alcohol by volume or higher, after bottling, but only if the product jumps through most of the hoops required for Budweiser. This would include permits, taxes, a Government Warning, no sales to minors, sales via the three tier system. These can be called over-over kombuchas. Unlike Budweiser, the legal requirements would not include TTB label approval, because, like gluten free beer, the product lacks the hops and malted barely that would otherwise confer labeling jurisdiction upon TTB. Most kombuchas need FDA rather than TTB labeling.